What do Israel’s Arab neighbors think about the political earthquake that struck PM Binyamin Netanyahu’s cabinet on Thursday and Friday? 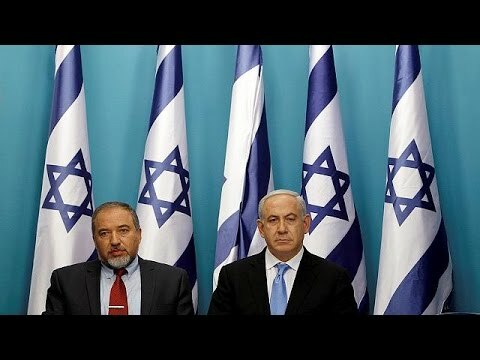 Netanyahu invited into his government the far right Yisrael Beitenu ultra-nationalist party and offered the minister of defense position to extremist Avigdor Lieberman. He appears to have attempted to mollify the old defense minister, Moshe Yaalon, by offering him the foreign ministry. Yaalon angrily declined and announced his resignation from the government. Al-Watan (The Nation, Cairo) reported these events, then noted that former Israeli prime minister Ehud Barak decried he “seeds of fascism” he sees infesting Netanyahu’s current government and Israeli society. The changes matter to Egypt because the officer corps, led by former field marshal Abdel Fattah al-Sisi, who is also the president, has to deal with the Israeli ministry of defense quite a lot, over issues of mutual concern in Gaza and Sinai, for instance. Making the Egyptians deal with Lieberman is a slap in the face to Cairo, given that he once suggested destroying the Aswan Dam and sweeping the Egyptians into the sea. Knowing that the erratic and extremist Lieberman has his finger on the nuclear button must also be nervous-making for the al-Sisi government. The pan-Arab leftwing London daily, al-Quds al-`Arabi, reported that circles around al-Sisi were “shocked” at the prospect of having to work with Lieberman, and that they consider his appointment a “red line” after he threatened them with genocide. On the other hand, the anti-al-Sisi organ, Aljazeera, accused al-Sisi of admiring Netanyahu and of talking to him warmly every week. (Aljazeera favors the Muslim Brotherhood whereas al-Sisi and Netanyahu both see it as a threat).